6 irresistibly cute small owls named after the Greek goddess of wisdom - Urban Bird Foundation | Birds. People. 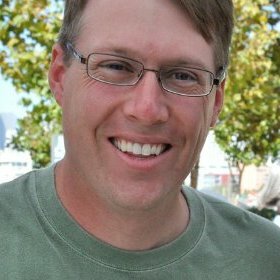 Communities. It’s no secret that we absolutely love burrowing owls. In fact, we have a robust burrowing owl conservation program spanning protection, habitat restoration, and education and outreach. For instance, California’s population of burrowing owls has been declining in parts of its range for decades and many counties have completely lost their breeding owl populations due primarily to habitat loss. And just this November, the Florida burrowing owl was listed as threatened on the state’s Endangered and Threatened Species List. However, the charismatic burrowing owl is not the only cute small owl nor is it the only one witnessing population declines. So, we decided to rank the 6 pint-sized owls from largest to smallest (average weight) that comprise the genus Athene and Micrathene. The genus Athene represents little owls and is named after Athena, the Greek goddess of wisdom and defense, who was often depicted with an owl. And to this day we still associate owls with wisdom. Let’s get started as today we rank the 6 irresistibly cute small owls named after a Greek goddess. Don’t forget to tell us which owl is your favorite and how many of these tiny, incredible raptors you have heard about before. 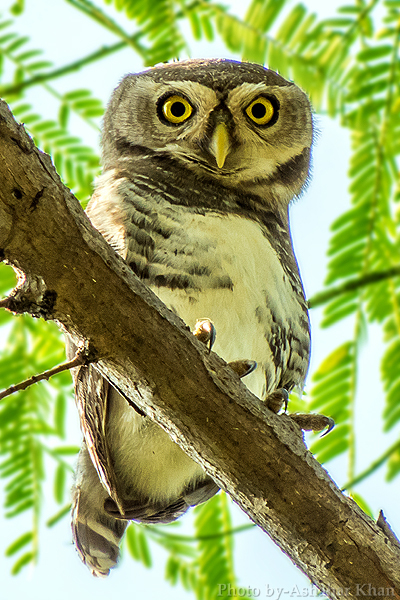 The Forest Spotted Owlet is the largest on our list today. 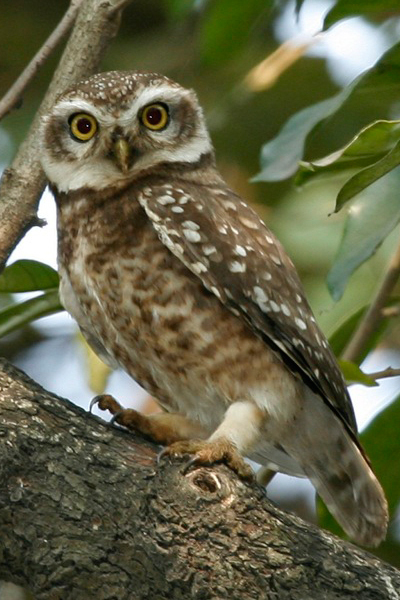 Sometimes taxonomically identified as Heteroglaux blewitti, this small owl found in central India is Critically Endangered due to loss of its deciduous forest habitat. 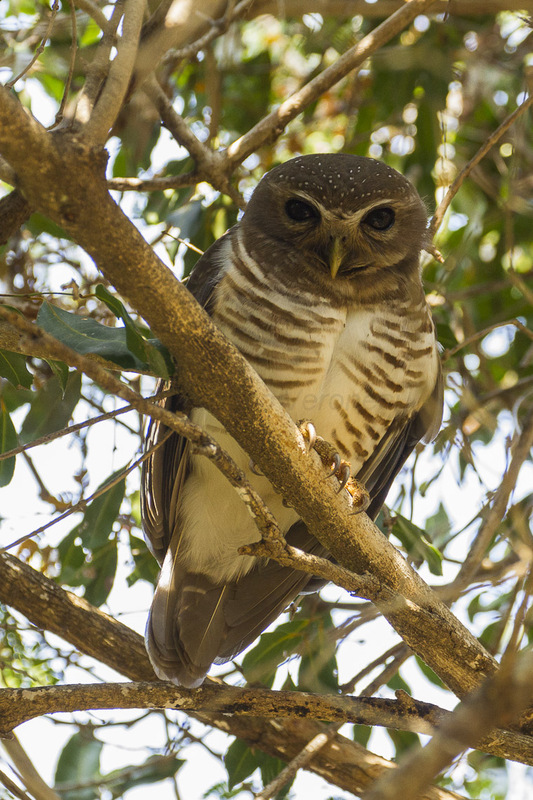 The White-browed Owl is a native of Madagascar and occupies open habitat with few trees, semi-arid thorn scrub, wooded savanna, deciduous dry and evergreen forests. Interesting Fact: The White-browed Owl was formerly classified in the genus Ninox, but after recent genetic tests it was placed in the genus Athene (Handbook of the Birds of the World). 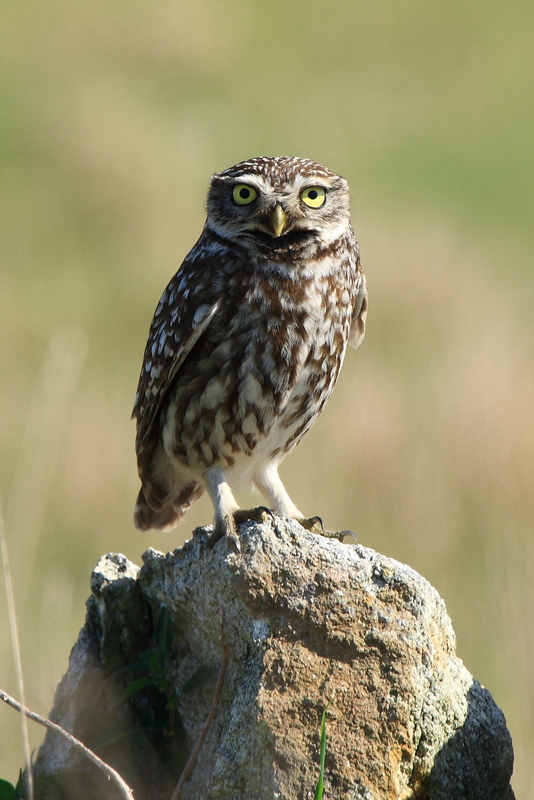 The Little Owl has an extremely large range as it is found in parts of Europe, Asia, and north Africa. Like burrowing owls, the Little Owl is found in a variety of semi-open habitats like deserts, farmland, and urban areas. It can also be found in open woodlands. The Burrowing Owl is distributed throughout the Americas, including island nations like the Bahamas, Cuba, the Dominican Republic, Haiti, and the Netherlands Antilles. Burrowing Owls are listed as Endangered in Canada, Threatened in Mexico, and a Bird of Conservation Concern at the national level. 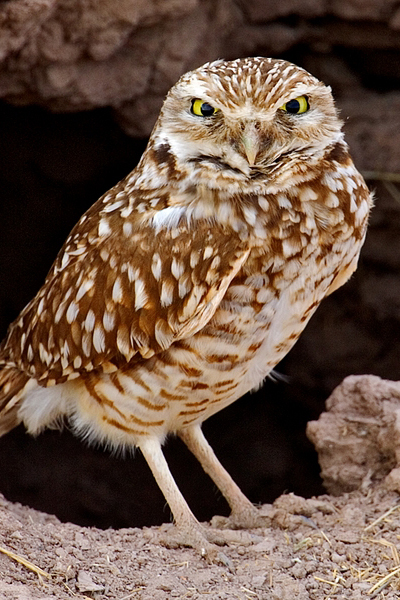 Interesting Fact: As their name implies, burrowing owls are unique among owls because they nest underground. Although some subspecies will dig their own burrows (e.g. Florida burrowing owl), they prefer to utilize the abandoned burrows of ground squirrels, prairie dogs, skunks, badgers, and other ground digging animals. Spotted Owlet is found in tropical Asia from India to Southeast Asia. Typically a resident of open or semi-open habitats such as farmland, it has adapted to living in cities and other areas in close proximity with people. Interesting Fact: Spotted owlets roost in small groups in the hollows of trees, cavities in rocks or buildings, and on branches. The Elf Owl is not only the smallest owl on our list but is the world’s smallest owl. Weighing about the same as 16 pennies, this tiny raptor is found in Mexico and in the southern United States. Habitat loss threatens populations in California and Arizona, and it has been eliminated from northern Baja California. 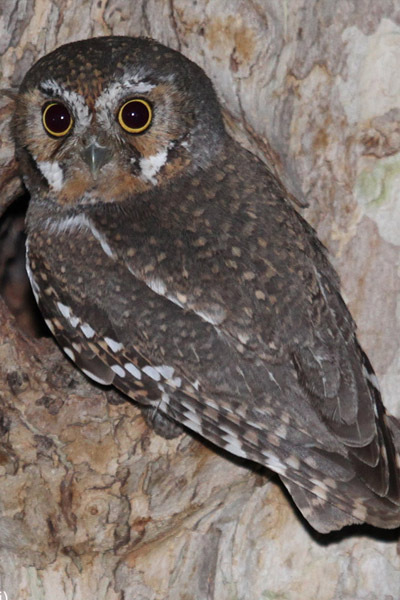 The Elf Owl is Endangered in California. Interesting Fact: As cavity nesters, Elf Owls depend on abandoned cavities excavated by other species, like woodpeckers, in cacti and trees.